The exhibit was on display at the American Association for the Advancement of Science (AAAS) Art Gallery in Washington DC, from July 16 through October 15, 2018. The jury was composed by Fernando Baptista, Senior Graphics Editor at National Geographic Magazine; Edward Bell, Animator, Designer, Lecturer, and former Art Director at Scientific American Magazine; Sarah Tanguy, independent Curator and arts Writer; Chris Bickle, Senior Scientific Illustrator at Science Magazine; and Eliahu Dwek, Theoretical Astrophysicist, NASA Goddard Space Flight Center and Artist for the Smithsonian's National Air & Space Museum. 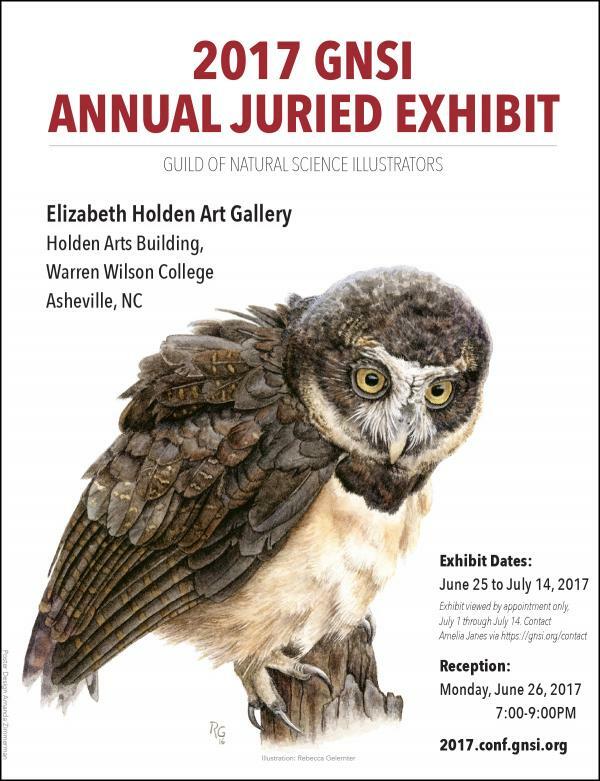 The exhibit was on display at the Elizabeth Holden Art Gallery, at the Warren Wilson College in Asheville NC, from June 25 through July 14. The jury was composed by Scientific Illustrator Melissa Logies, Sculptor Robert McDonald, and Professor of Art at the University of Georgia Lamar Dodd School of Art Gene Wright. The exhibit was displayed digitally during the Annual Conference that took place from July 3 to 9 at the University of California in Santa Cruz. 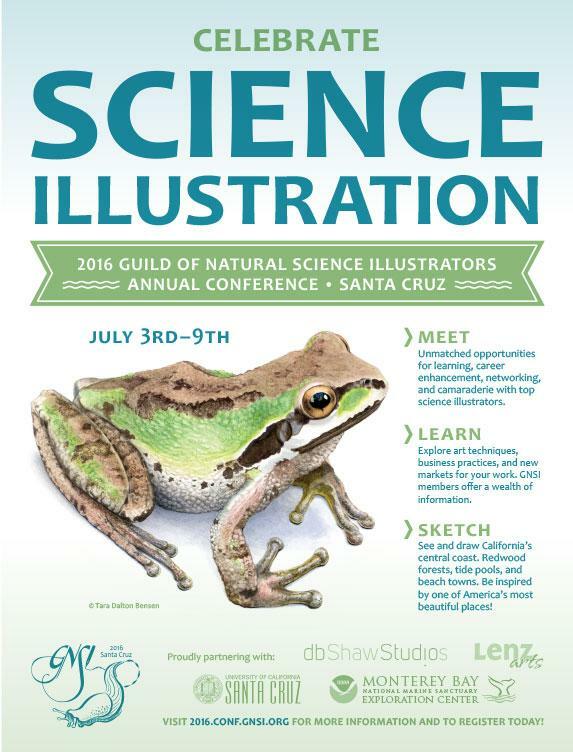 The jury was composed by Teacher and Chair of the Science Illustration Certificate Program at the California State University Monterey Bay Ann Caudle, Biologist Michelle Staedler, and Teacher of Art History at the University of Saint Francis in Fort Wayne Esperança Camara. This gallery includes the 19 framed illustration reproductions that are part of the GNSI Traveling Exhibit, available for rent to members and the public. The exhibit showcases more than 20 years of natural history illustrations, including a wide selection of time-honored techniques. The exhibit also includes 49 unframed reproductions, not shown in this gallery. 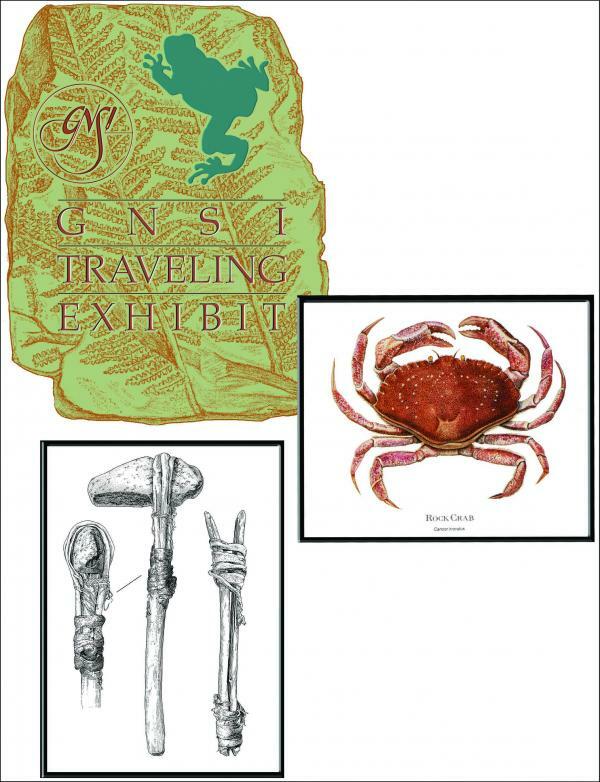 Learn more about the GNSI Traveling Exhibit.